Ogie’s statement had the potency of consecutive espresso shots; I was suddenly wide awake, ready to heed my guide’s advice lest my carelessness cause our untimely demise. 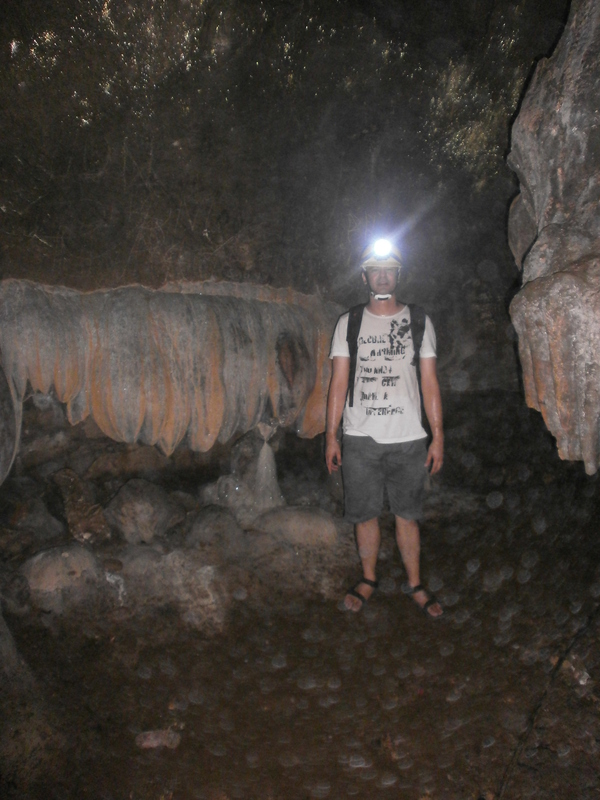 The cave I explored is the famed Pamitinan Cave, formerly the hideout of Andres Bonifacio and a cabal of Katipuneros, currently a Montalban tourist spot and a source of water for nearby residents. 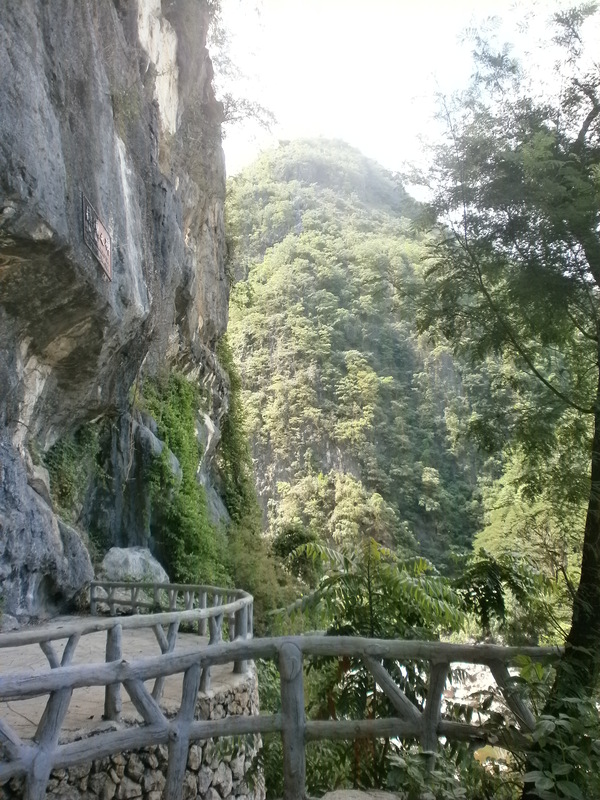 A river, a couple of makeshift rest houses, and numerous limestone boulders separate the cave from the Montalban Tourism Office. 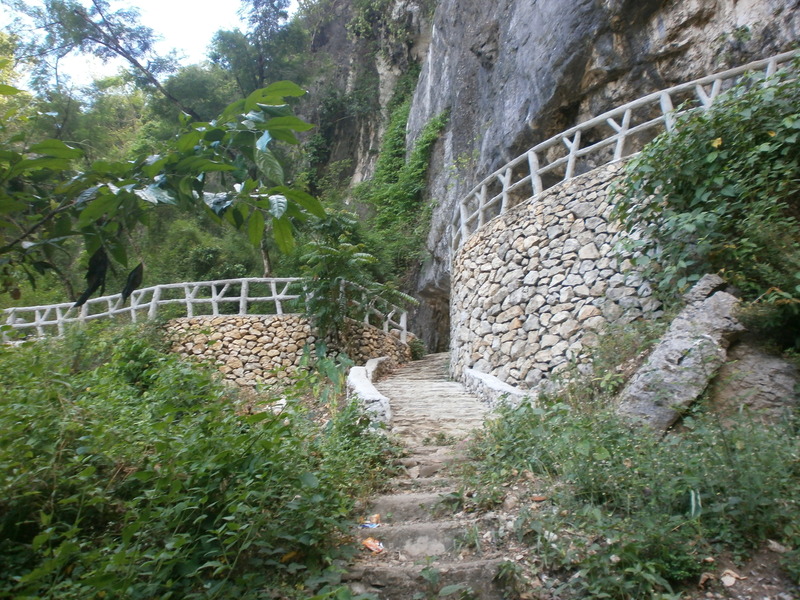 I was exhausted by the hike from the Tourism Office to Pamitinan: the distance was manageable but I had to maintain my balance myself while perching on the limestones (it didn’t help that I was strapped to a heavy backpack). 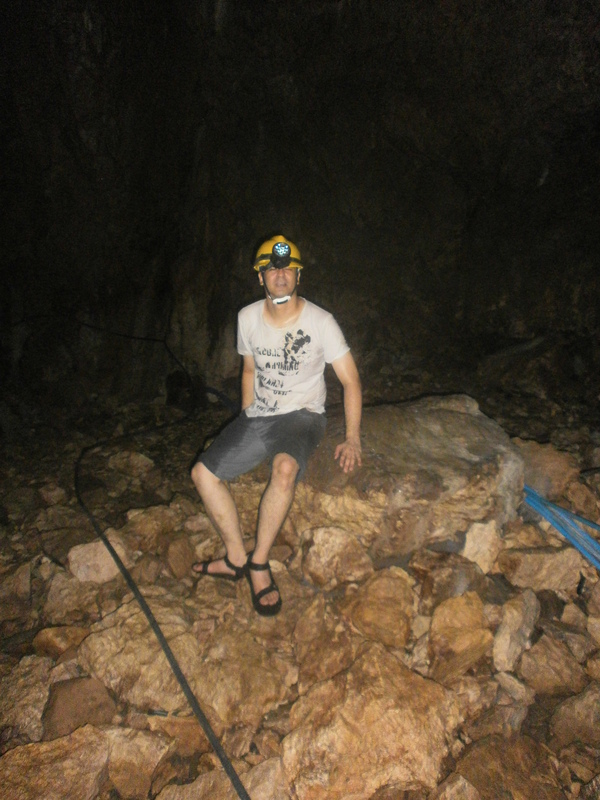 When we reached the balcony in front of the cave, I told the guide I needed to to catch my breath before entering the cave. 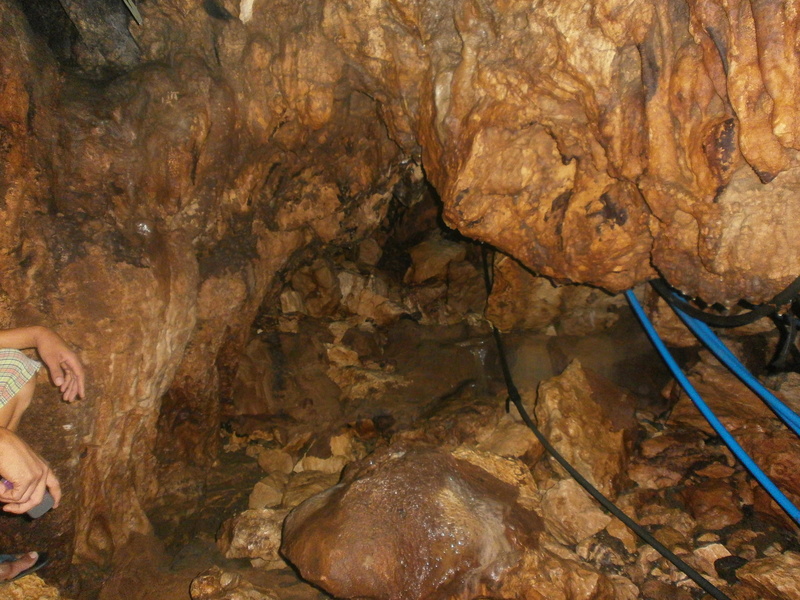 Pamitinan is a wet cave. We trod muddy ground that pulled one’s footwear; we stepped on slippery rocks. 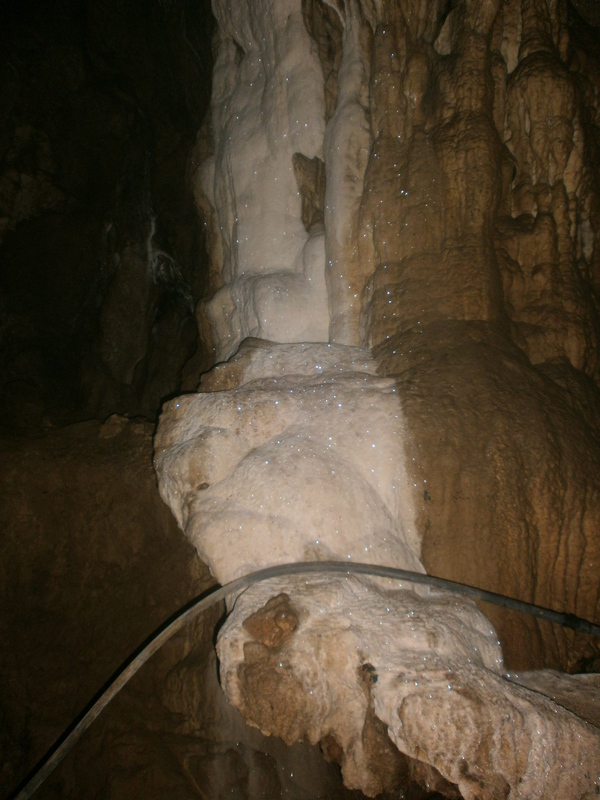 Accompanying us on the journey were the plastic pipes that coursed the water from the cave to the residents of Wawa. 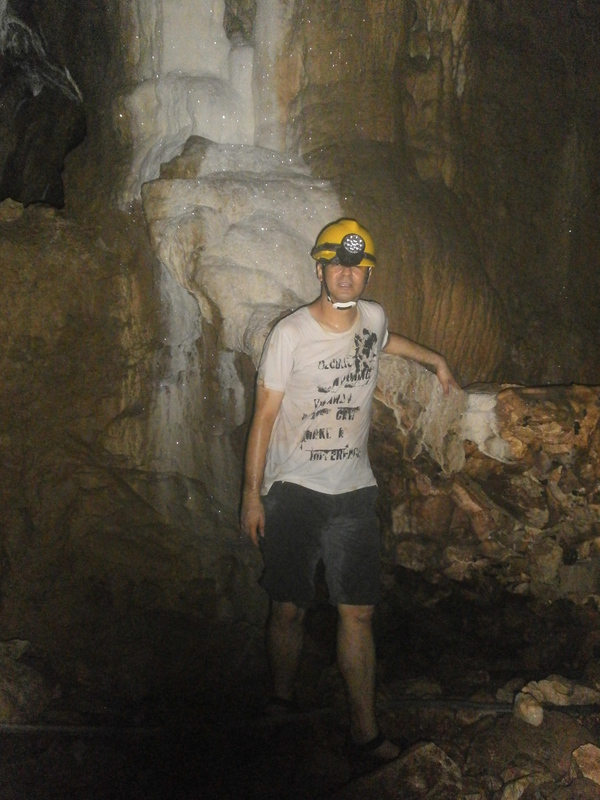 Some pipes had leaks, and the guide would stand in front of the leak so that I can pass without getting drenched – a pointless gesture since I would be drenched and muddied by the end of the journey. 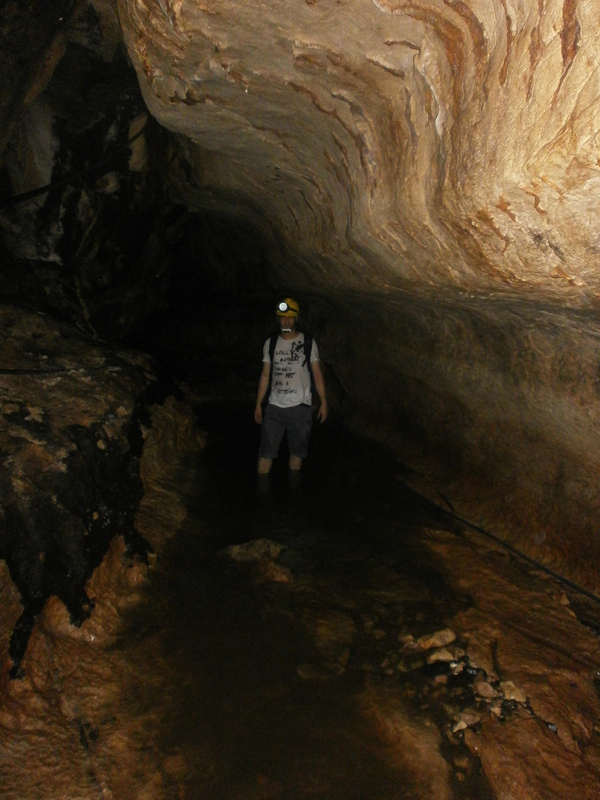 The cave also had a stream that we had to wade through. 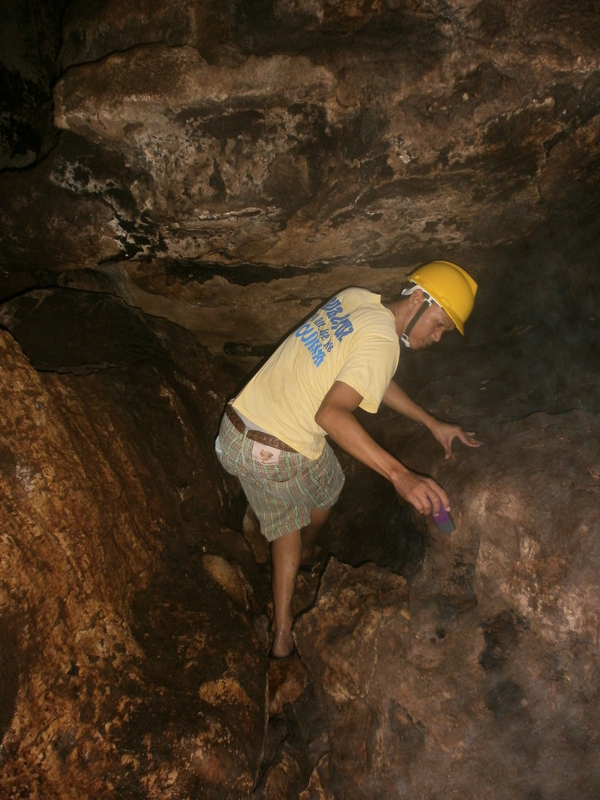 Pamitinan has a number of narrow passageways that requires one to occasionally contort or squeeze the body; claustrophobics and the morbidly obese are advised to avoid the cave. 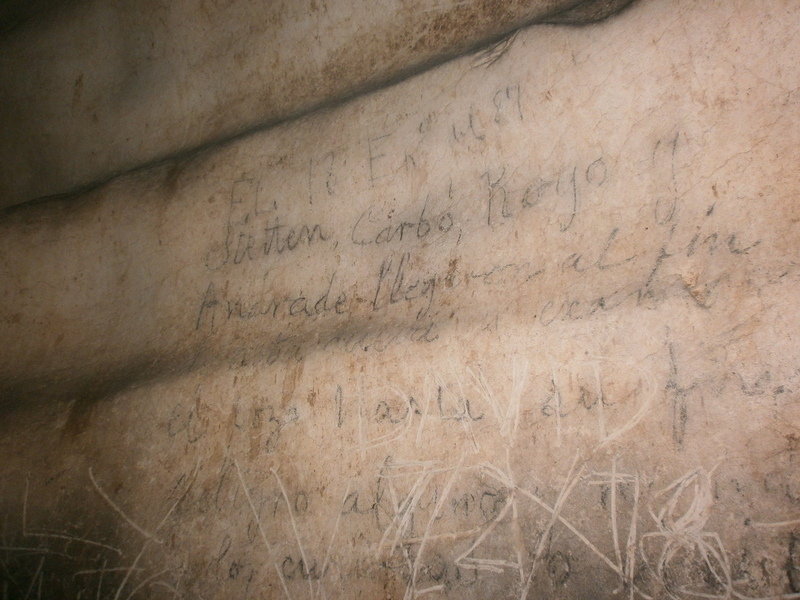 Ogie gestured towards the face of a rock and remarked, “Eto sulat ng mga sinaunang tao.” I glanced at the writings, hoping to find ancient script, but was disappointed to recognize Roman Alphabet instead. The writing was dated 1902, so what Ogie meant by ‘sinauna’ was old and not prehistoric. After taking pictures, I had an irresistible urge to touch the writing. To my horror, a portion of the text became smudged as my finger ran over it. 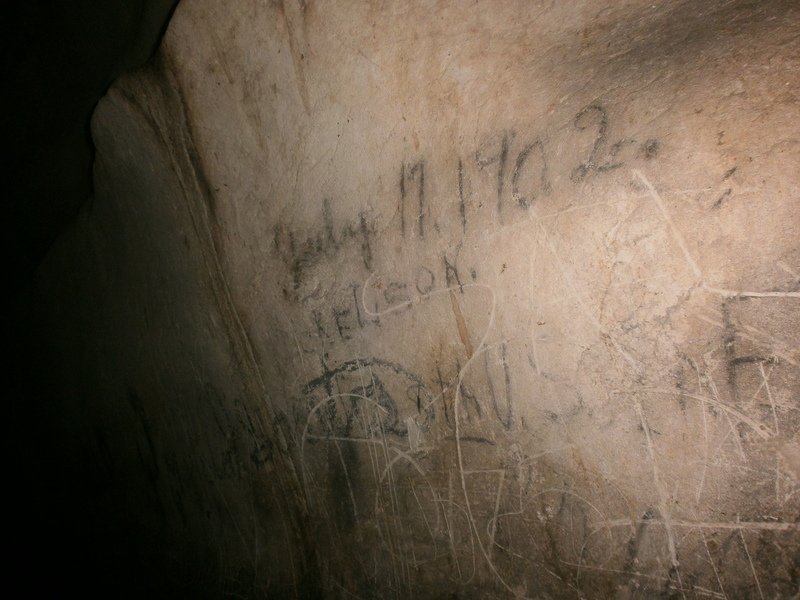 Great, I said to myself, I just defaced a historical landmark. 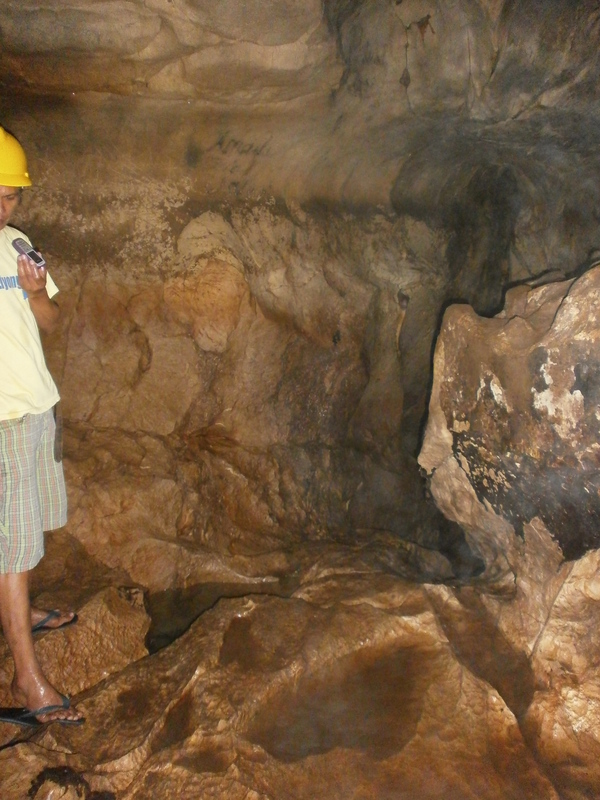 The destination of the cave tour is the Bulwagan ni Bonifacio, a chamber where Bonifacio and Katipuneros had meetings. 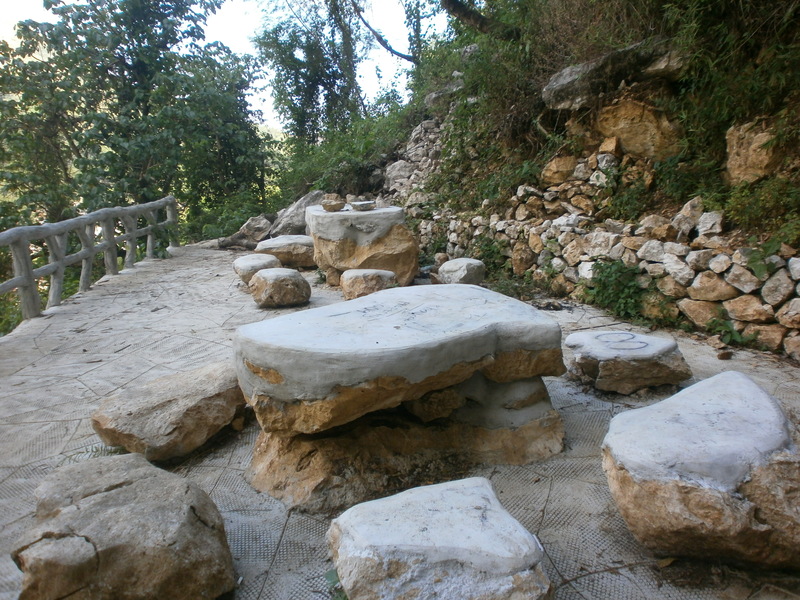 At the center of the chamber is a table-like formation. 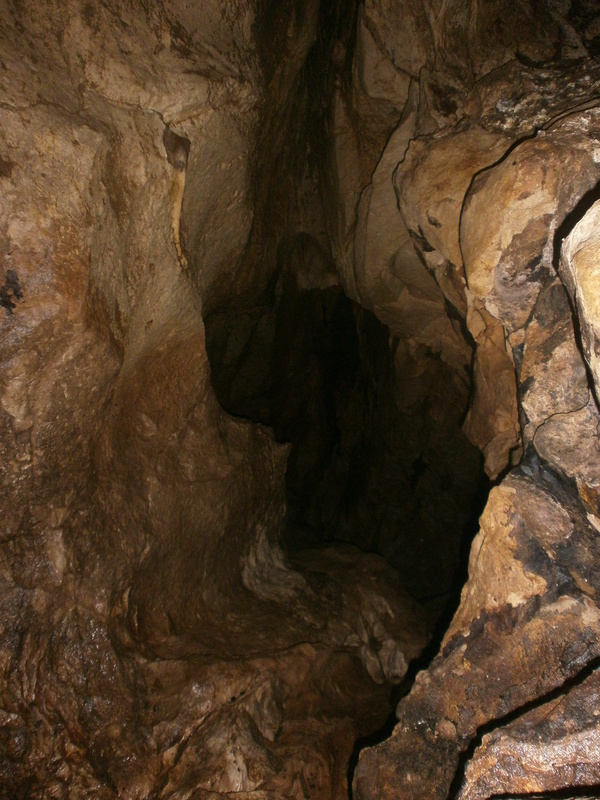 Since the formation was the closest thing to a chair inside that chamber, I sat there for about 10 minutes to catch my breath. Ogie was screaming, though I could not understand what he was saying since he had his flashlight between his teeth; he was helping me clamber down a passageway on our way back from Bulwagan ni Bonifacio. Apparently, I was clinging to a rock I was not supposed to hold. 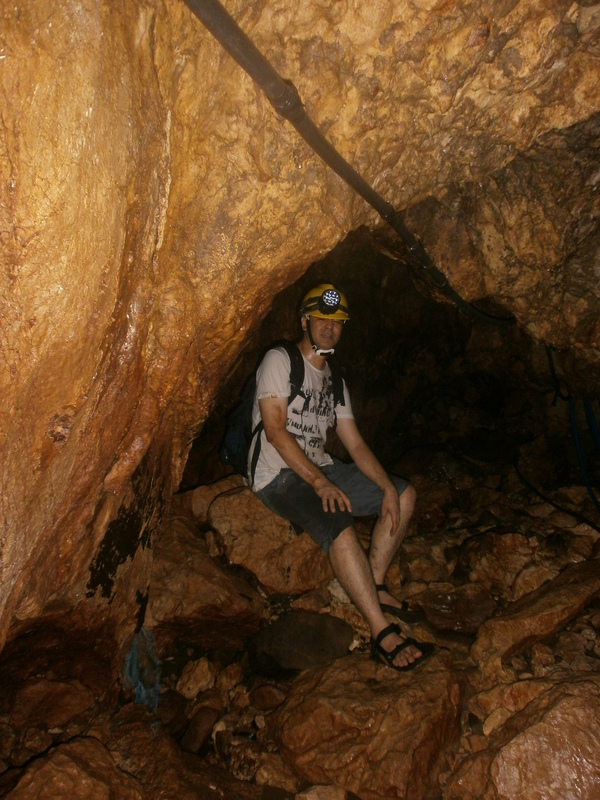 After adjusting my position, I managed to escape the passageway without any unfortunate incident. 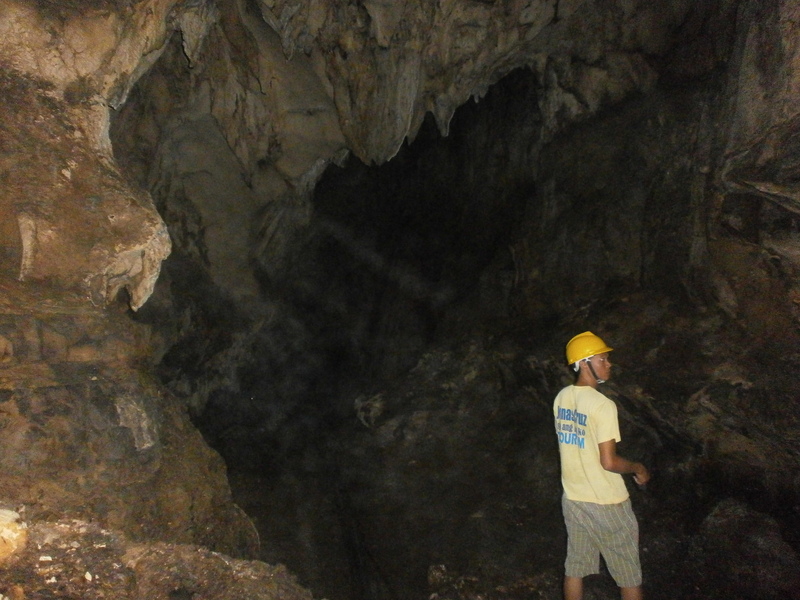 We emerged from Pamitinan Cave after two hours. 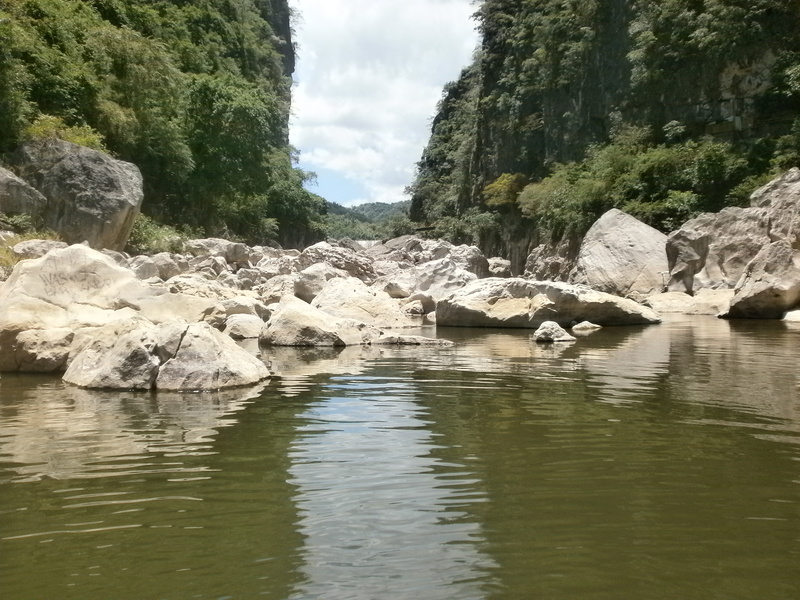 How to Get to Pamitinan: Ride an FX going to Montalban. Ask the driver to drop you at San Rafael, particularly in the area where there are jeeps going to Wawa. 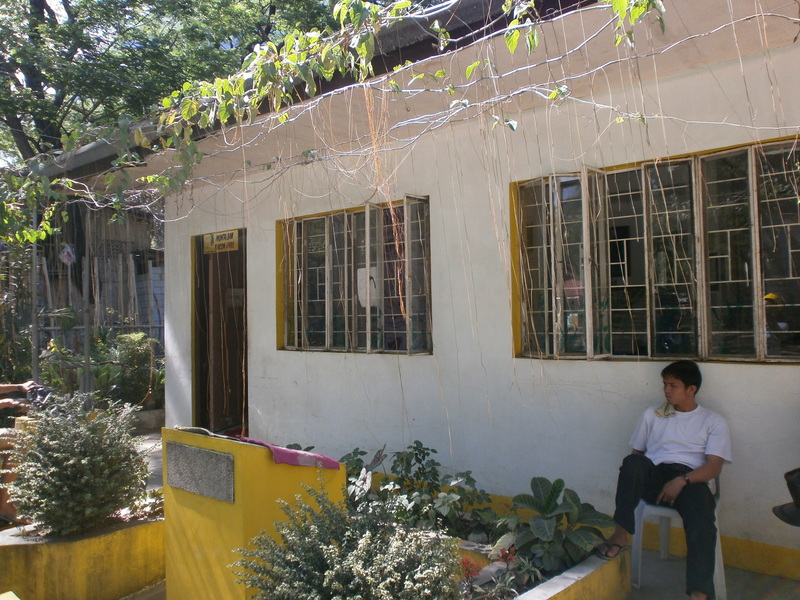 Ask the driver of Wawa-bound jeep to drop you at the Montalban Tourism Office. 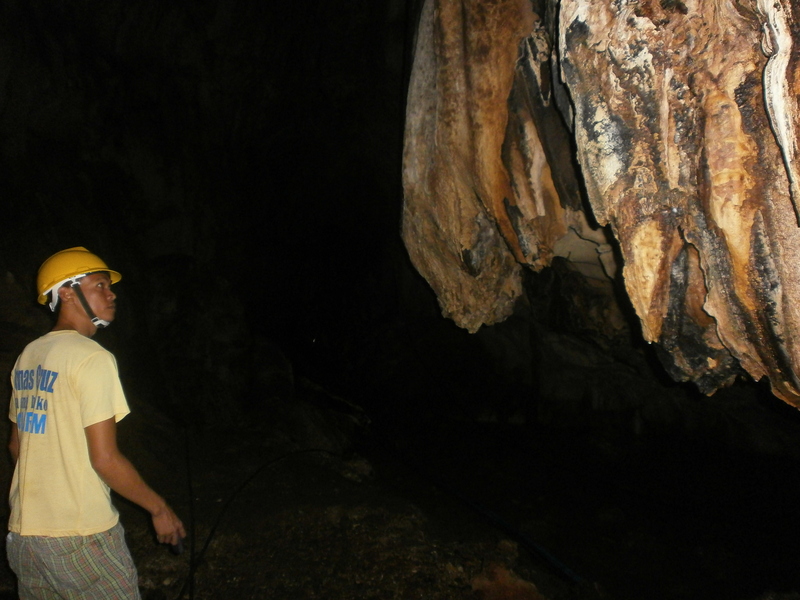 Additional Tips: Register at the Montalban Tourism Office before spelunking at Pamitinan Cave; the office will provide a guide (fee: “Bahala na po kayo”). 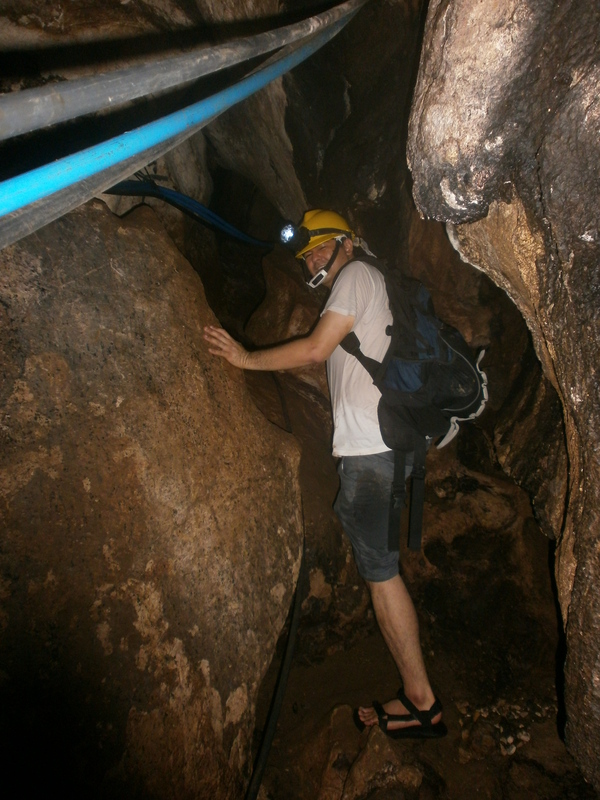 You can also rent a hardhat (fee: P50) and a flashlight (fee: p50).